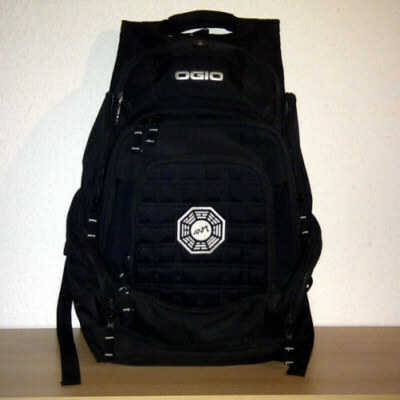 This Ogio "Metroid" backpack was actually a gift to the LOST crew members from the producers. 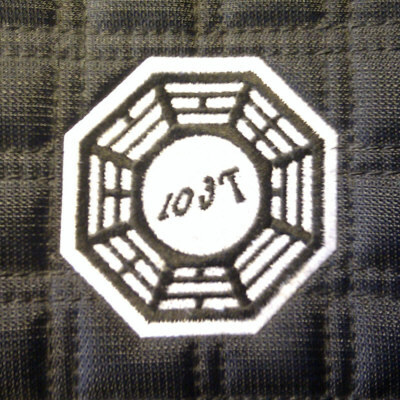 A Dharma Initiative embroidered patch on the front pocket shows the LOST film crew logo, with a 3 replacing the "s" in Lost, to indicate the season. 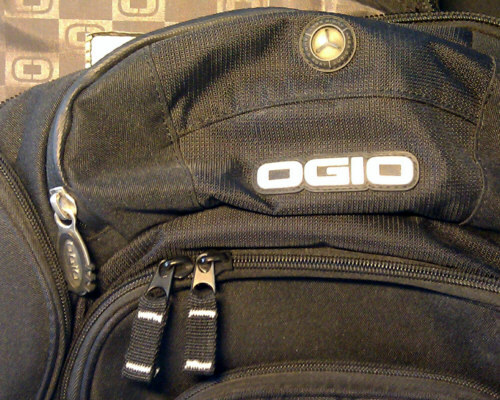 The backpack with its plenty of pockets is designed to carry a laptop with accessories such as the power adapter, and a mouse, without even occupying the large main compartment. 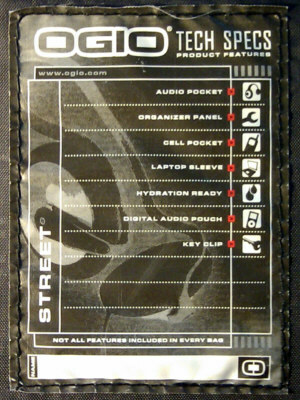 Beside the several more pockets, two features are unique of the bag: The fleece-lined water-resistant audio pocket for Ipod or similar audio player, comes with an "audio port" to pull a headphone cord through, and the file holder, to carry loose papers and folders.